Have you analyzed your customer service practices recently? It’s not enough these days to just be an outstanding groomer; if someone is unhappy with their groom, or can’t reach you with a question or for an appointment... They will be quick to bash you on social media or online review sites. Often these bad reviews are what people notice over the good reviews. Frustration will set in quickly for customers who can’t get a quick answer to their questions or new appointment times. Have a process in place for answering emails or phone calls quickly and how to handle weekend inquiries. 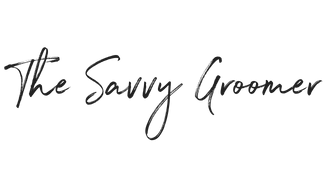 If you are grooming alone or have crazy days, have specific office hours, make them public on your website, have them listed in your email signature, and certainly mention those hours on your phone voice message. I know they are asking the same stupid question that everyone asks. I know they are frustrating... but remember puppies and kittens don't come with handbooks. Sadly even if they DID it would be written by breeders who will say cats are magic and don't need baths (because spit is shampoo, right?) Or Doodles are also magic and never need to be brushed, they can get a groom every 1.5 years, obviously. 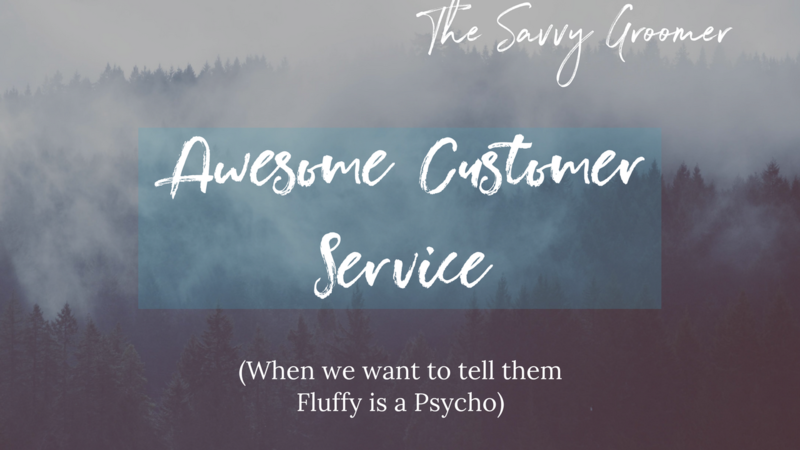 Remember, as hard as it is, follow the old saying of, “Kill ‘em with kindness.” You can never go wrong being friendly and patient, even if your customer makes you want to hit your head on your desk. Very often when they hear that they can’t rattle you, they will calm down and see you as the expert worth trusting. The same is true for rude or unhappy emails. Sometimes people don't know a quicked nail isn't a horrible wound. Sometimes they didn't realize their cat might feel naked after a lion clip. This is where having pre-written responses can help because then you can just copy and paste the response without being tempted to answer in a rude tone. People want to be heard and they want quick results. If your customer explains their problem, they want you to respond with an appropriate response, not with the standard canned response that doesn’t apply to them. For instance, if they say to you they’ve already tried brushing to solve their matting problem, don’t suggest to them to try brushing the dog better. Maybe say to take the dog shorter or come in more often. The same is true for emails. Pre-Written email responses are great ONLY if they address the actual problem. If someone's complaining about how their dog is too short due to a miscommunication but your response talks about matting, you're going to piss off that customer. That's great but I have a lot of crap to do Mandi! I totally get it. Groomers who own their own business know their skills and customers inside and out. Handling customer calls can be time-consuming and emotionally draining. Hiring even one assistant allows or a virtual assistant can allow you to delegate that task so you can be more productive on the things you love most. Also, let's be real, it can be emotionally difficult to hear people unhappy with your grooms or how naked that matted OAY doodle is. Customer: "Fluffy's face isn't even"
Groomer: "Well Fluffy is a psycho"
Customer "Fluffy's face isn't even"
Assistant: "I noticed Fluffy was a bit off today, I suggest we get Fluffy groomed every 4 weeks, even if it's a bath and nail trim so he will get used to the process. As you can imagine putting scissor and vibrating cutting edges near his face makes him nervous. We need to have a regular schedule to build his trust and confidence in us." Allowing someone else to deal with those calls won’t bruise your confidence. Terms Privacy Where are you on the Financial Journey? Please just fill out your name and email, we respect your privacy.